A comprehensive set of worksheets. All done for you. For free. WonderWorksheets are the ultimate Environmental and English teaching resource for ages 9-14. ... and other interesting environmental and book-related information, news and resources from time to time. Yes please, give me worksheets! 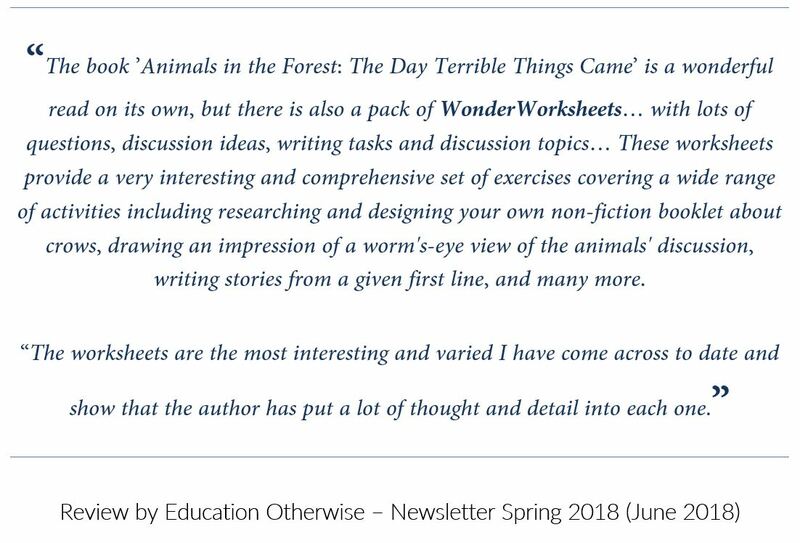 You are signing up for WonderWorksheets set B, a comprehensive cross-curriculum teaching resource with lots of environmental discussions and activities. 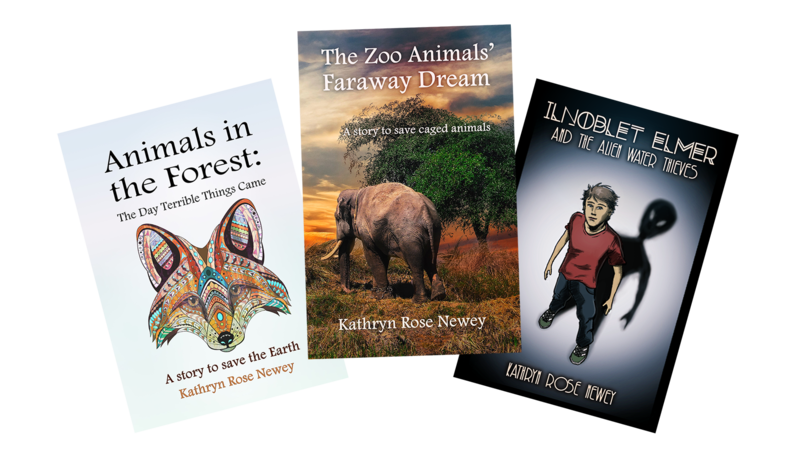 You'll also receive occasional email newsletters with environmental and book-related information, news and resources from the author. 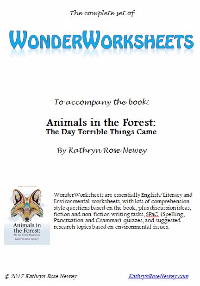 By the way, WonderWorksheets were created around the literacy and environmental themes in the book 'Animals in the Forest: The Day Terrible Things Came', which can be purchased from amazon.co.uk, amazon.com or most major bookstore websites. While Set B focuses on generic environmental issues and can mostly be used on their own, set A was designed specifically to complement the book, and have lots of reading comprehension and inference questions based on the story, as well as fiction writing activities. 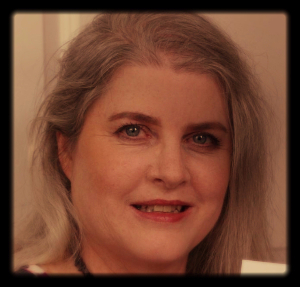 Download set A for free from KathrynRoseNewey.com. I'm passionate about combining engaging stories with things that are important. 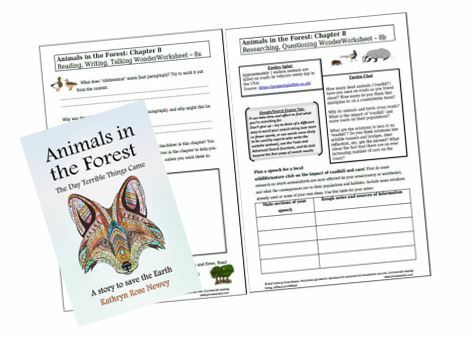 So my book 'Animals in the Forest: The Day Terrible Things Came' and the matching WonderWorksheets are designed to get teens and children thinking, talking, writing and researching about animals and wildlife, environmental issues and nature conservation, and how human beings interact with our planet. All while practising and improving their English speaking, reading and writing skills. Download your complete set of WonderWorksheets for free here.